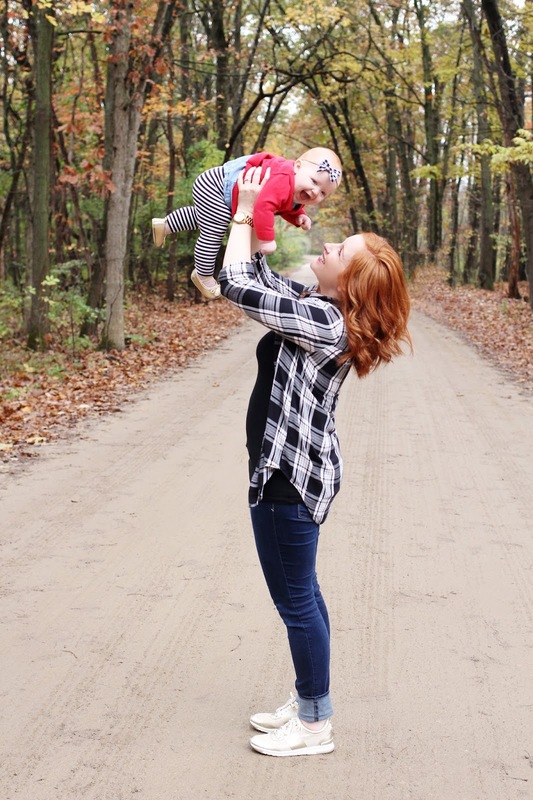 A few weeks ago I put a call out to my mom tribe of friends with a very important question. “Am I cool enough to wear gold shoes?” And much to my surprise, the overwhelming response was YES!!!! Who knew? So, look what you made me do. I’m wearing gold shoes. And I kind of love it! 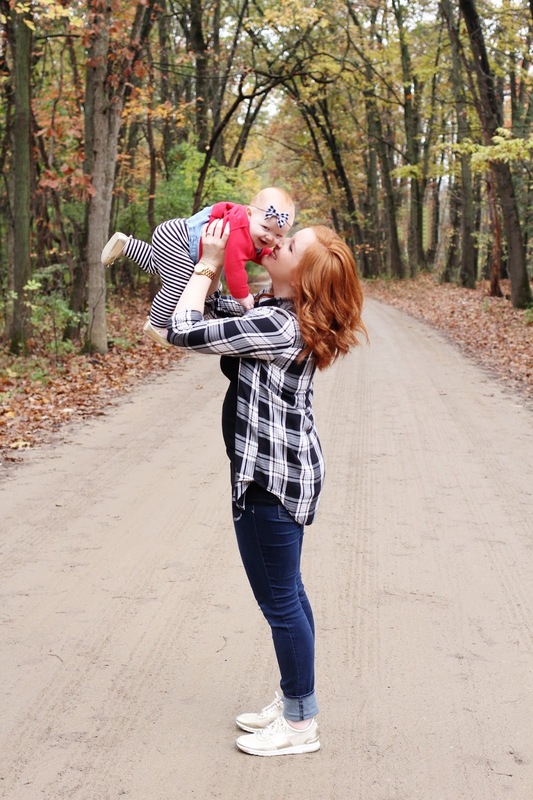 Here is my go-to momiform in the fall: jeans, tank top (for nursing), flannel shirt, and cute shoes. Plus a stylish little sidekick who steals the show. My momiform is pretty simple these days. I spend my days wrangling three little ones, so it’s important that I wear something comfortable, soft, and easy to move in. And something that allows me to go from playing on the rug with my baby to going to pre-school pick up. Most days you’ll find me in either yoga pants and a tunic or comfy sweater, or this outfit. But I always wonder what shoes should I wear? I’ve been on the hunt for the perfect pair…something comfortable, easy to get on and off, yet still stylish. I’ve had my eye on these Blair shoes from the Cushionology Collection by Foot Pedals. 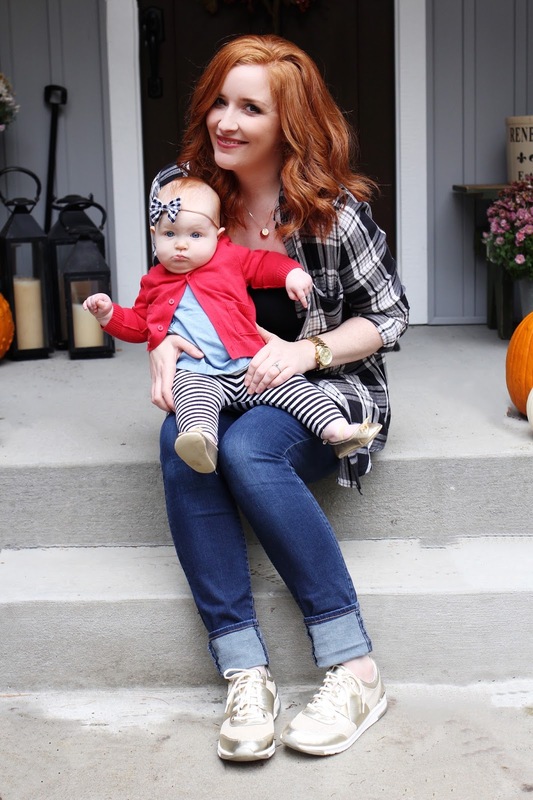 They are exactly the type of shoes that I need as a busy mom….cute and comfortable! After the nudge from my friends I pulled the trigger and ordered them. And I’m so glad I did! Because they are GOLD! 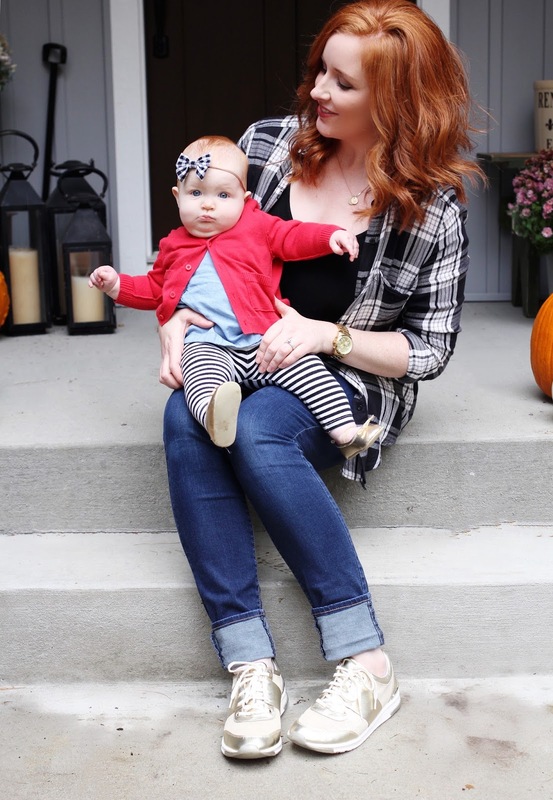 Plus, I get to match with this little lady. So obviously I’m winning the shoe game. 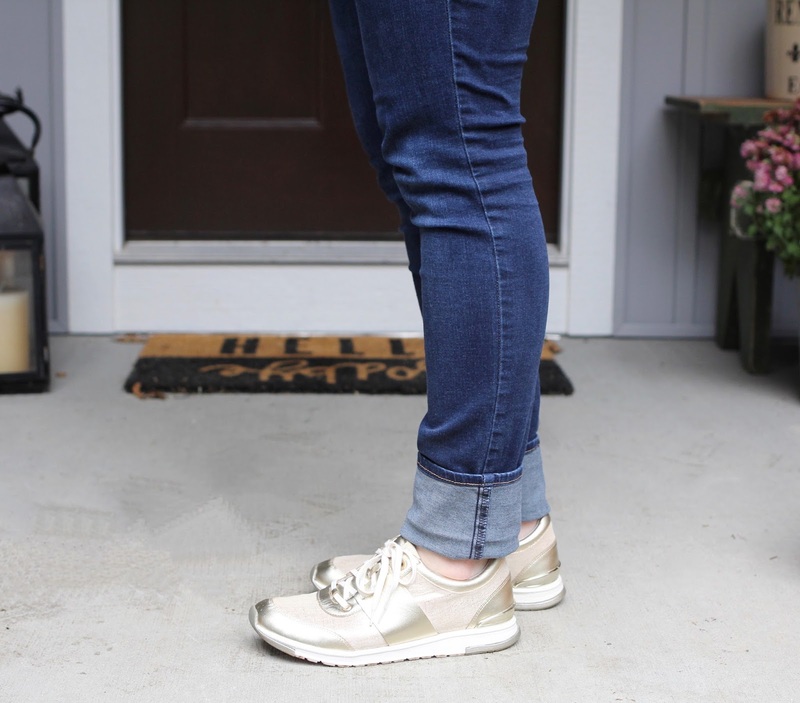 These shoes have a spandex fabric lining that provides a flexible fit and additional comfort. 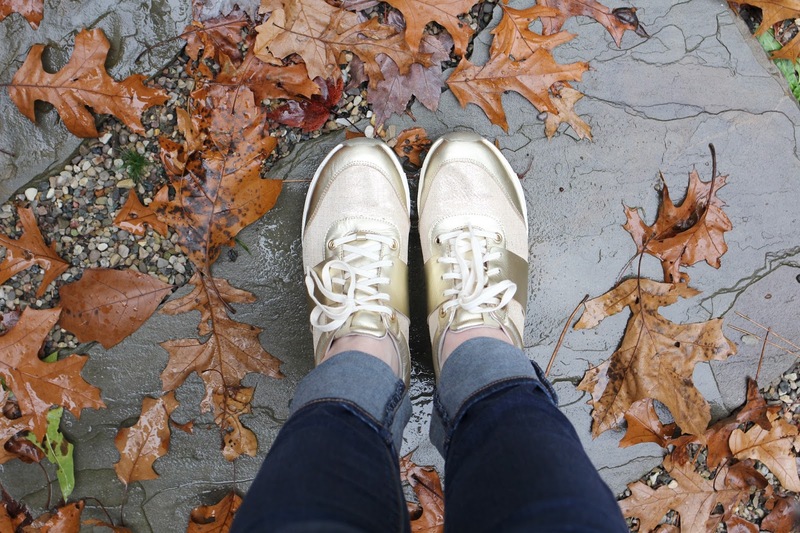 And gold is pretty much a neutral these days…so they go with everything. The Cushionology Collection by Foot Pedals features gel cushion towers that adapt to your foot’s unique shape and pressures to deliver maximum support and individualized comfort. They are perfect for running errands, playing chauffer to my crazy crew, and going on playdates. I love them! My wardrobe these days is pretty simple…but I love it. And I like still feeling put together. What does your momiform look like? 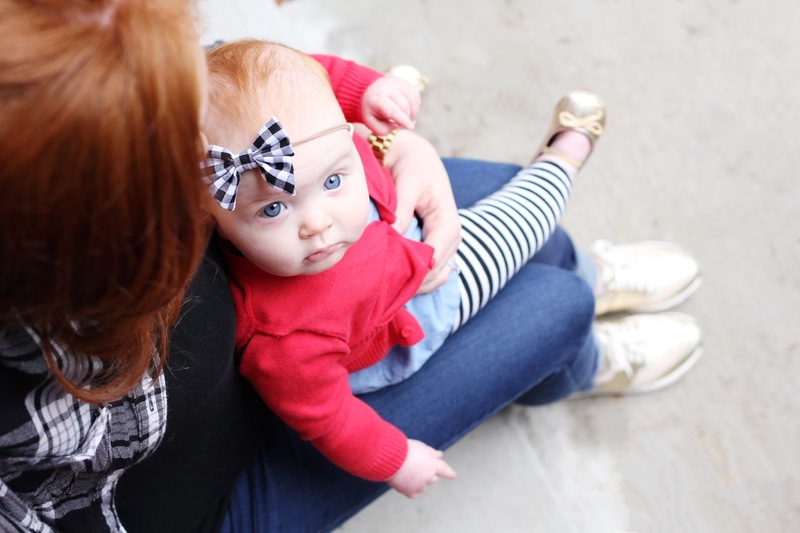 two sweet girls in gold shoes!! I love twinning with her! You are totally rocking those gold shoes! Love them! Im rocking your mom uniform too 😉 All I need are those fabulous gold sneakers! Those shoes are AMAZING!!!! Goodness gracious you two are too cute!